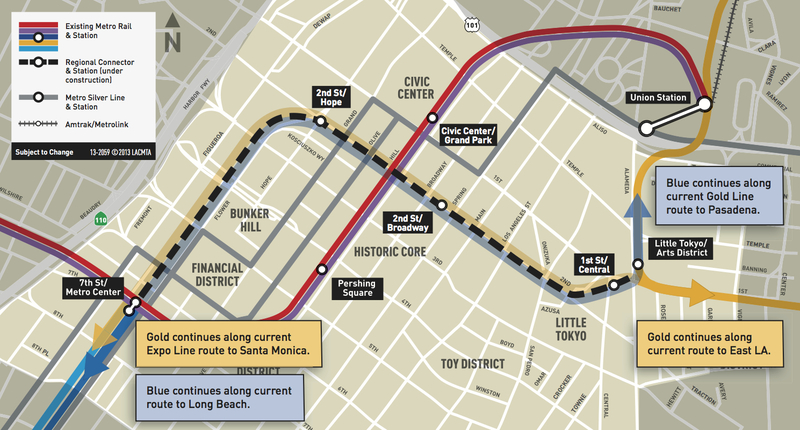 The closure of the Little Tokyo/Arts District Station until March 21 is set to begin this Friday night at 9 p.m. for major track relocation and tunneling work for the Regional Connector project. The Gold Line tracks are being moved to the north side of 1st Street in order to build a new tunnel entrance in the middle of 1st Street. 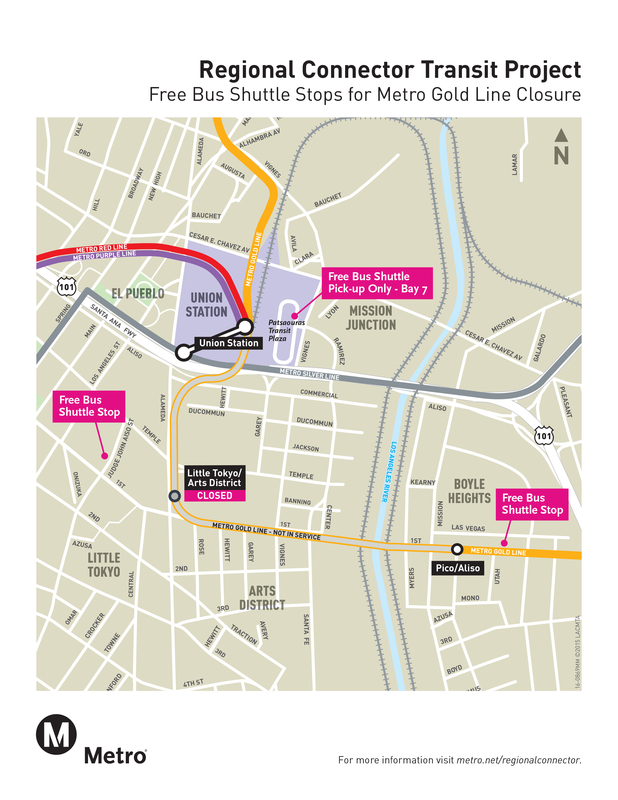 From Friday, Jan. 8 starting at 9 p.m. through March 2016: bus shuttles will replace Gold Line train service between Union Station and Pico/Aliso Station. Bus shuttles will operate every six minutes during weekday peak periods and every 10 minutes midday, evening, nights and weekends. The Little Tokyo/Arts District shuttle will run directly between Union Station and Judge John Aiso/1st. The Pico/Aliso Station shuttle will run directly between Union Station and Utah/1st. The shuttles will stop at Union Station at Patsaouras Plaza Bus Bay 7 (drop off at Bay 9). Throughout the closure, Gold Line trains (between Pasadena and Union Station, and Pico/Aliso and Atlantic) are slated to run every 10 minutes during the day, and every 20 minutes late-night/early morning. This is exact what will happen when the transit projects are built piece-by-piece. After the tunnel is done, Metro will shut down the state again for three months in order to move the tracks back to their original position. Taxpayers are on the hook for bus shuttle replacements. I predict that there will be a similar shut down when the Crenshaw LAX Line needs to merge with the Green Line.. If the Gold Line trains are able to return to the Gold Line yard for service why is there a interruption in service when only the Little Tokyo Station needs to be bypassed? 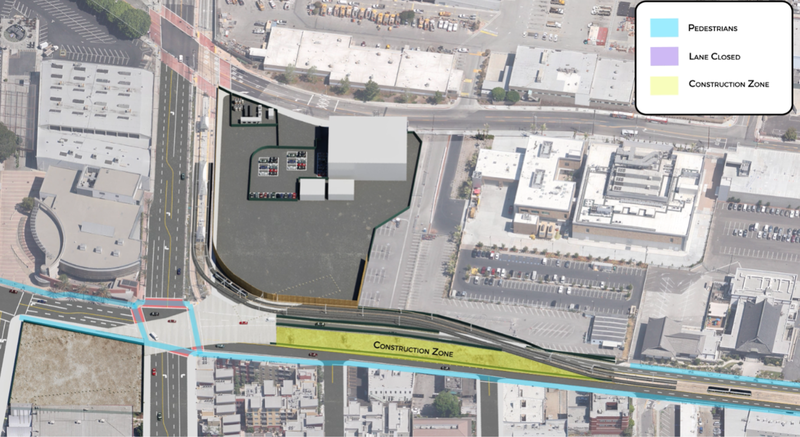 The trains will be maintained and serviced in the tunnel under Boyle Heights during the construction. It’s too bad trains from Pasadena couldn’t terminate at Little Tokyo Station instead of Union for these three months. Then there’d be only be a somewhat short almost pleasantly walkable gap between Pico/Aliso and Little Tokyo Station. We’d all get much healthier. Will the shuttle service be running as long as the trains are running? ?